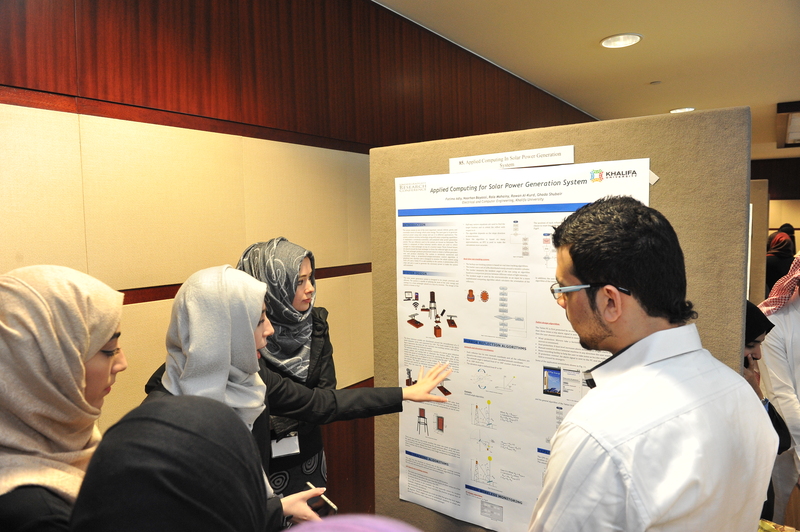 The Eleventh Annual Conference on Undergraduate Research on Applied Computing (URC 2019) aims to provide a forum for undergraduate students to present their ideas and interact with other young researchers from educational institutions in the UAE, other GCC countries, and the rest of the Arab world, as well as expert faculty and leaders from the IT industry. So, if you are an undergraduate student working on a final year project, or doing research in any computing field, you are encouraged to submit an abstract for a live demo, lightning talk, or poster presentation. There are three types of submissions (for live demo, lightning talk or oral presentation, poster presentation, and Special Tracks), and all submissions will be reviewed by expert faculty and feedback will be provided to all submissions. Note that this year, we are adding full paper submissions to Special Tracks and they are open for all, including researchers at all levels, graduate students, and faculty members. Download the call for research project abstracts in PDF format. For submissions to Special Tracks, please see Special Tracks. 1. Live demos: for students who are interested in presenting a live demo of an application/system/tool they have fully developed; they will be presented in front of conference participants and a judging panel. 2. Lightning presentations: students will be given 5 to 7 minutes to present their research projects in front of conference participants and a judging panel. 3. Poster presentations: students will present their research projects in a poster format that will be displayed at the conference and presented by students during special periods of time during the conference. A panel of judges will be evaluating poster presentations. All submissions must be made online at https://easychair.org/conferences/?conf=urc2019 Note: If you don't already have an account, sign up for one (click on create an account)...it is free and it only takes 2 minutes. Once you login, create a new submission and fill out the necessary information. Please make sure you upload your MS Word (.doc or .docx) file containing the abstract. Please use this template for abstract submission. Internet of Things and Big Data: inviting full paper submissions related, but not limited, to: IoT architectures and systems, smart homes, smart cities, security and privacy of IoT, data management, networking, sensor data, data analytics, etc. Blockchain and Cryptocurrencies: inviting full paper submissions related, but not limited, to: blockchain, cryptocurrencies, consensus protocols, blockchain applications, legal and regulatory issues, bitcoin and altcoins, ethereum, smart contracts, etc. Artificial Intelligence and Machine Learning: inviting full paper submissions related, but not limited, to: artificial intelligence, neural networks, deep learning, supervised and unsupervised learning, machine learning applications, etc. Please use this IEEE template in MS Word format for your submission. Your submission must be a full paper of 4 - 6 pages using the IEEE template. Authors of accepted abstracts will have the opportunity to finalize their abstracts before final submission for inclusion in the ebook of abstracts (for your information, here is the book of abstracts from URC2018). Authors of accepted full papers for the Special Tracks will have the opportunity to address reviewers comments and finalize for papers before submission to IEEE eXplore.